As a center of Spain’s colonial power and wealth in the Americas for centuries, Mexico has many stunning historical cities. With well-preserved architecture, and narrow cobblestoned streets, you feel as if you’re stepping back in time here. From soaring cathedrals with impressive bell towers, some built with stones from Mayan or Aztec temples, to grand civic buildings and grand plazas, the grandeur of this once colonial power is eloquently displayed. Colonial homes often have quite plain facades, but behind their thick wooden doors hide elegantly decorated and lushly landscaped courtyards, rooms with vividly colored tile, and high wood beam ceilings. A few Mexican cities and towns exemplify this colonial architecture. They offer not just historic architecture in UNESCO World Heritage sites, and vibrant culture, but also modern conveniences like high-speed internet, lower cost of living, quality medical care, and so much more. Read on to discover the top Mexican colonial towns. Around 20 minutes inland from the Gulf of Mexico, on the Yucatán Peninsula, lies the city of Mérida. Founded in 1542, it has grown over the years into a city of over 1 million people, with bustling suburbs, shopping malls with familiar brands, and high-rise condos. It is known as a stronghold of yucateco culture—which has strong Maya influences. Much of the historic centro, has been revitalized in recent decades, a movement spearheaded by ambitious expats who found low-cost colonial houses to renovate. 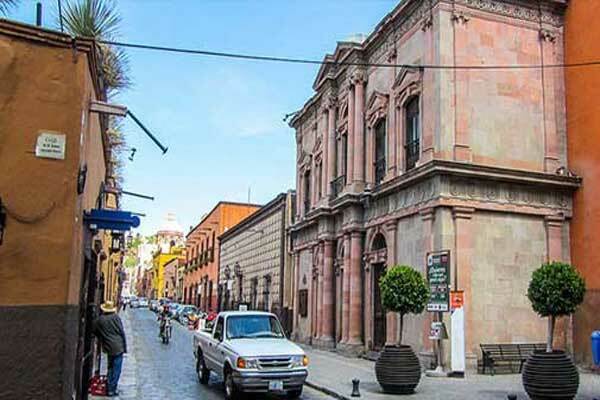 Any renovation work here, as in other historic Mexican cities, must be approved by municipal officials, as this area is a UNESCO World Heritage site, which has strict architectural guidelines to ensure the area maintains its colonial character. The Plaza Mayor is the showpiece of the historic district. But you’ll find other parks and plazas, often featuring sidewalk cafes and restaurants or farmers’ markets. Neighborhoods popular with expats include Santiago, La Ermita, and Santa Ana. 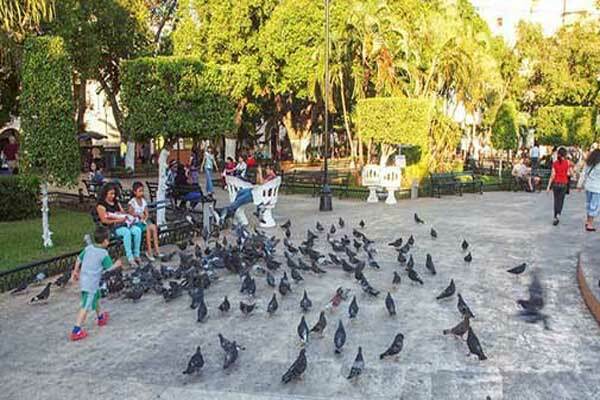 The expat population swells in Mérida in the winter months as snowbirds come into town. Santiago de Querétaro is a city of approximately 1 million people. The capital of Querétaro State, it is also one of the wealthiest in Mexico, thanks to its thriving manufacturing sector in automotive, aerospace, and food products. All the hallmarks of a Spanish colonial city are here: baroque churches, restored colonial homes, and tree-filled parks. There are several top-notch medical centers in Querétaro, as well as an international airport with daily flights north to the U.S., and throughout Mexico. 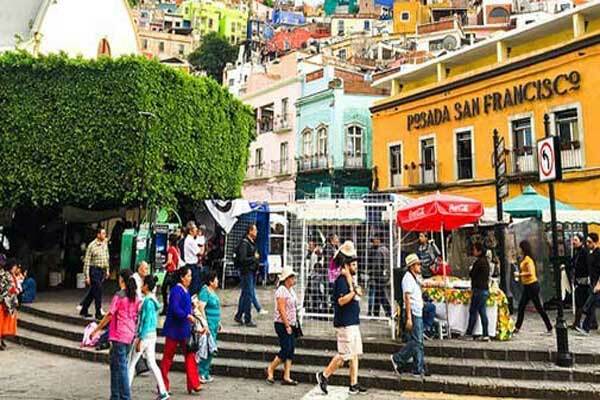 Expats from nearby San Miguel de Allende often make their way here for shopping or to see a specialist doctor. 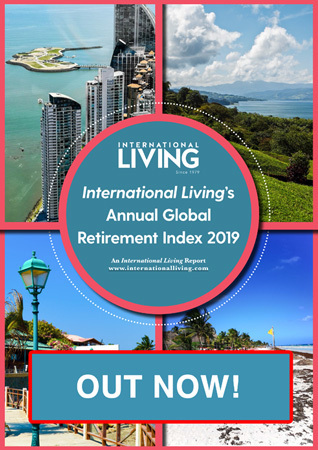 As Querétaro is still relatively unknown, it hosts only a small but enthusiastic group of North American and European expats. Guanajuato, set in the highlands about four hours’ drive north of Mexico City, is well known for its arts and culture scene. With a unique geography, as it was once a silver mining town, these days the tunnels serve as roadways snaking through the hills. The historic district is set in a deep, narrow valley. Homes sprawl up the steep hillsides, to which most of the access is pedestrian. Bring your walking shoes to Guanajuato and be prepared to walk up hill, unless you’re in the heart of town where it’s easy to get around. Every October Guanajuato hosts a nearly month-long festival, the Cervantino, that brings artists, musicians, theater groups, and more for performances at various venues around the city. There’s even a well-regarded symphony orchestra. There are a small number of expats in the city, mostly living in the centro. They’re seeking an authentic experience of speaking Spanish and immersing themselves in the Mexican culture. San Miguel de Allende, also in the Colonial Highlands, has the longest history as an expat destination of this group. It first attracted World War II veterans who discovered they could use their GI Bill at local art institutes. The Beat Generation was born, and that legacy continues today as the town has quite an artistic bent, with plenty of working artists and galleries. Aside from the thriving art scene, the cultural calendar in San Miguel is full throughout the year; with civic, and religious celebrations. It is estimated that 7,000 people, or 10% of the city’s population is foreign, mostly from the U.S. and Canada. 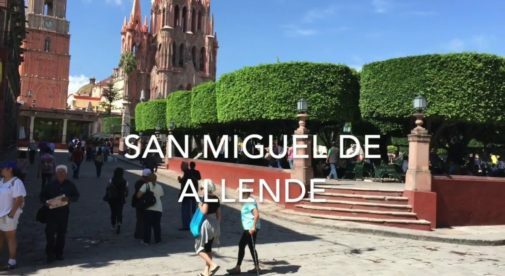 San Miguel de Allende, or SMA, hosts a lot of tourists, so you can get by without speaking much Spanish—although it’s always helpful and respectful to learn as much as you can. Despite the expat influence, it’s still a very traditional Mexican town. National tourists from Mexico’s biggest cities also flock here for vacations, weekend getaways, and destination weddings. 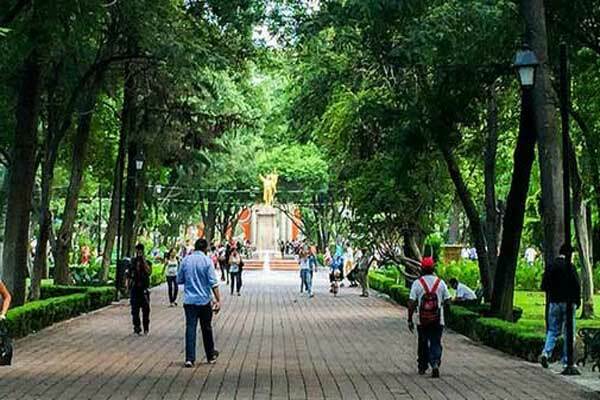 You can find expats living all over town, but popular hotspots include neighborhoods like San Antonio, Guadalupe, Independencia, and the centro itself.